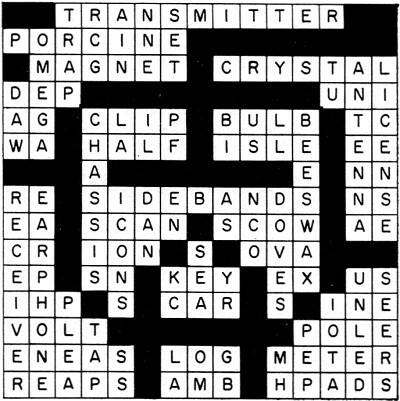 Margaret LeFevre created a handful electronics-themed crossword puzzles for Electronics World magazine. 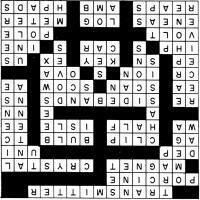 Crosswords have been around for at least two centuries and come in many formats from having both x- and y-axis symmetry to symmetry about only one axis or even no symmetry at all. They can be square, rectangular, or have special shapes. This particular one has partial symmetry about the y-axis. Note that it is composed of two isolated regions with no open path between the regions. If you enjoy working crossword puzzles, there are plenty more which I have posted from electronics magazines, plus I have created hundreds of RF Cafe Crosswords. 1. Message sending device of a ham station. 14. Component of a speaker. 15. Device for controlling transmitting frequency. 21. Chemical symbol for silver. 26. Glass shell of a vacuum tube. 30. Old measure of capacity (abbr.) . 32. One of two equal parts. 35. The President's name contains these double letters. 36. Chemical symbol for rhenium. 38. Frequencies on either side of the carrier frequency. 47. To cover a TV picture bit by bit. 49. Latin digraph retained in some scientific terms. 50. Schematic designation for a crystal rectifier. 54. A 45-rpm record (abbr.). 55. Chemical symbol for tin. 64. Suffix meaning "pertaining to." 65. Practical unit of potential. 67. One end of a magnet. 70. Record of a station's activity. 73. 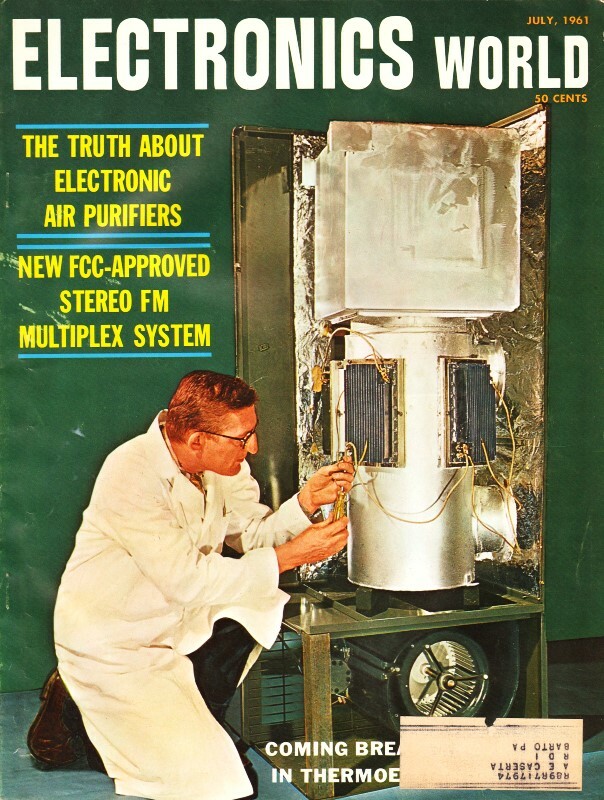 This is used in tuning up a transmitter. 1. Circuit used to eliminate interference. 2. Amplifier-input resistor (abbr.) . 3. River in eastern France. 13. Greek letter used to designate "ohms." 16. It comes after "Blue Monday." 17. Conductor to radiate radio waves. 18. FCC permit to operate a ham station. 22. Supporting metal base on which parts are mounted. 23. Sixth note in the scale. 25. Unit of capacitance (abbr.). 27. Objective case of "we." 28. In the place cited (abbr.). 29. Insulating wax with fairly low dielectric loss. 36. Device for converting radio waves back into their original form. 43. A master sergeant is one (abbr.) . 57. Unit of time (abbr.). 69. A contributory insurance program for employees (abbr.). 70. Chemical symbol for lanthanum. 72. The British Isles (abbr.). 73. Unit of inductance (abbr. ).